After living, working and teaching in Denver and Boulder for eight years, Kathy Kambic was ready for a change. Kambic grew up outside of Cleveland, in Solon, Ohio. Between her undergraduate and graduate degrees, she spent two years living in Taos, N.M., which inspired her to pursue the two master’s degrees. “The landscape there is so powerful that I wanted to study both architecture and landscape architecture,” she said. She completed her education in 2005 after earning a bachelor of architecture, master of landscape architecture and another masters, in architecture, all from the University of Virginia. “I was looking at a variety of schools, but I really wanted to be at The University of New Mexico. It was on the top of my list,” she said. 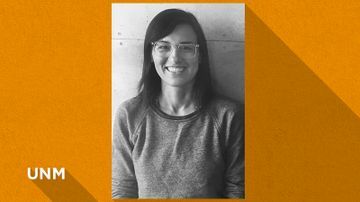 Kambic was impressed by Alf Simon, University of New Mexico landscape architecture program director, as well as faculty members Katya Crawford and Chris Wilson that she joined the faculty in the UNM School of Architecture & Planning’s landscape architecture program in the fall semester last year. “I felt very lucky. The school is very strong, and we are growing. We are in an amazing desert landscape, one that is very livable,” she said. She sees the students as dedicated, thoughtful and positive, and believes Simon has great ideas that are the bedrock of a fantastic program. Her research and teaching interests focus on water; and she sees value in using water as an integral element in design. “My thesis was on the colonial use of water – acequias. I translated those systems for use in other parts of the country,” Kambic said. “I now explore who has access to clean water, and why. For example, urban environments have plenty of clean water, sometimes at the expense of rural areas,” she said. 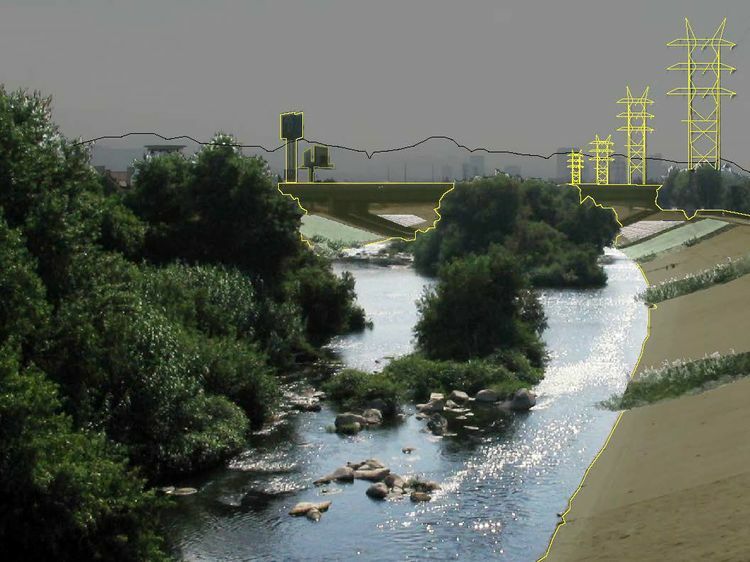 One of her studio projects proposed a redesign of a section of Los Angeles River to provide water access for adjacent communities. Los Angeles is filled with infrastructure. 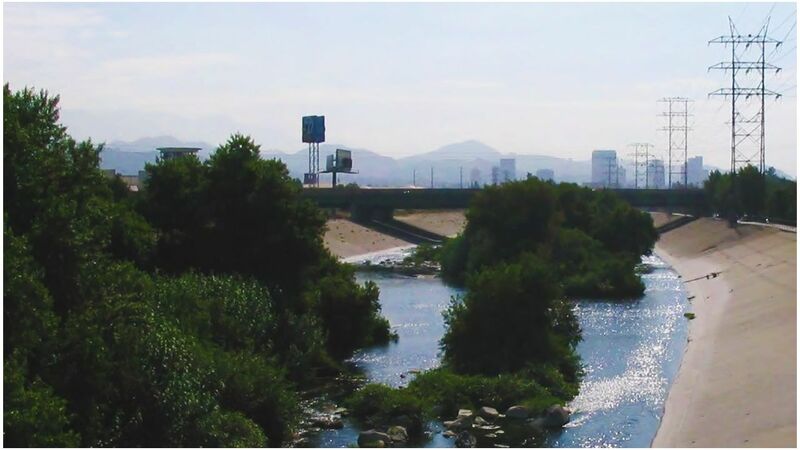 Inserting green infrastructure into older systems could allow for more ecological diversity and cleaner water. Illustrative by Kathleen Kambic. It’s a problem she’s looking to fix. “The built environment provides so many opportunities to think of vertical surfaces in cities – sidewalks, subways, elevators are part of our environment and we need to make them places we want to be,” she said. “Water is an infrastructure we’re in contact with every day. Through landscape architecture, we can bring awareness of it, design with it and make places we want to live in,” she said. Kambic is very happy to be back in New Mexico, which she says is a state that inspires design. After riding her bike home from work, she is welcomed by her husband, Blake, who is a nurse; and their toddler daughter Mika.